Everyone loves a good barbeque in the summer. Warm sun, good food, good friends. What’s not to love? 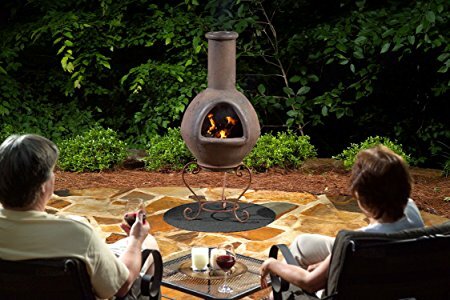 With a chiminea, you can have the added luxury of grilling from the cozy seat on your porch since the chiminea makes such a great decorative centerpiece. 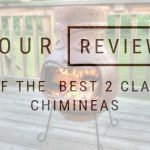 Chimineas in their various forms are all great for backyard grilling. 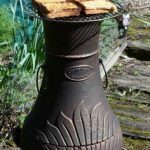 Cast chimineas in iron or steel are generally considered to be the best for grilling because they can take the high heat of charcoal. 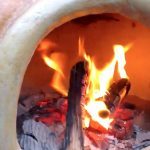 Clay chimineas are also good for grilling though as long as you use wood instead of charcoal. 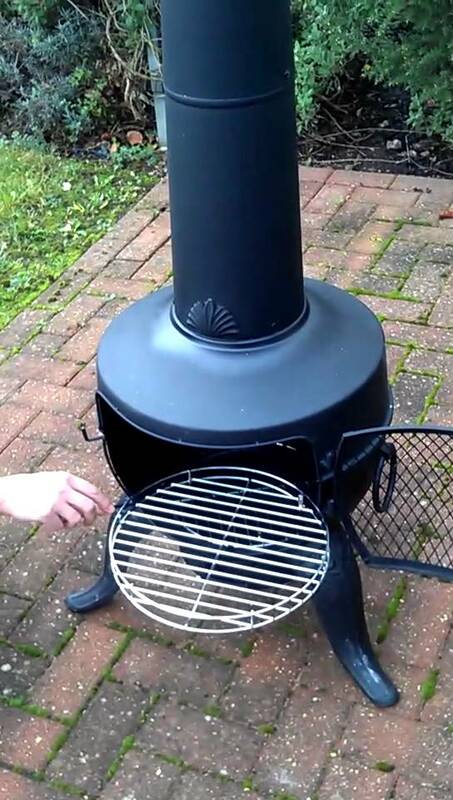 Many chimineas come equipped with a swing out or a pull out grill. If it doesn’t though they’re very easy to make. Just place firebricks on the bottom of the basin so that the tops are even and place a metal grill on top. If you’re doing this in a clay chiminea, be sure to fill the bottom of the basin with three inches of sand before placing the firestones. Charcoal is considered by many to be the best fuel for grilling because of the high heat it can achieve and because it doesn’t impart any unwanted additional flavours to your food. Let the lit charcoal burn for at least 15 minutes to get nice and hot. For a higher temperature add an extra layer of charcoal after the first one has gotten hot. Wood must be used in a clay chiminea. Be sure to fill the bottom of the clay chiminea with three inches of sand first before loading in the wood. You can also use wood in place of charcoal in a cast chiminea. Different woods will impart different flavours to your food. Hard woods like hickory and oak are great for fish and pork. Fruit woods such as apple, cherry, and peach are high in flavour and add some sweetness to your food. Beech and oak are also excellent choices. If you’re adding wood chips for added smoke flavouring as well, soak the chips in water for a minimum of one hour. Overnight is even better. Then drain the wood chips and wrap them in aluminum foil for an even burn. It is important to never use accelerants such as lighter fluid when cooking in a chiminea. 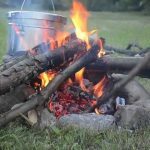 While you should never use accelerants like lighter fluid when grilling anything because it will inevitably get into your food and ruin it, accelerants are dangerous to use in a chiminea. The fire will lash out as it lights in a small explosion that could cause severe burns. Once the fuel is lit and cheerfully burning away you’ll want to wait until it burns down. The chiminea will be ready to grill on once the fuel is no longer lit and has burned down to a white or ash-gray colour with glowing red underneath. This is when you’ll have a good even heat to cook on whereas open flame will char your meat before the inside is done cooking. You can use the palm of your hand to determine roughly how hot the grill is by holding your palm about five inches from the grill and counting how many seconds you can hold it there. Just two seconds indicates a high heat, five seconds for medium heat, and ten seconds for low heat. 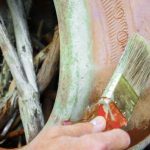 Once your grill is nice and hot you’ll want to scrape off any residue from the last use with a good BBQ brush. You’ll want to clean off the grill again immediately after use. If you don’t have a brush just scrunch up some tin foil into a ball and use tongs to scrub. Once cleaned, the grill can be greased lightly to reduce sticking with vegetable or canola oil. Soak a paper towel in the oil and use tongs to rub the grill down. Cooking spray should never be used. Food prep should be done before cooking starts. All the food being cooked together should be the same size to be sure that it all cooks evenly. Sausages should be pricked so they don’t explode from their casings. Wooden skewers should be soaked in water for at least thirty minutes to prevent them catching fire. A large batch of skewers can be soaked and frozen ahead of time. Frozen skewers can then be taken out of the freezer as needed. Marinated food should marinade for between half an hour to about two hours. Marinating food for longer can make it tough or squishy depending on your marinade as it breaks down the fibres. For smaller pieces of food a shorter marinating time is required. Marinade liquid should never be used to baste unless its been boiled first to avoid contamination. Alternatively, extra marinade can be made up and set aside for basting. 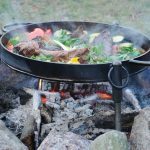 Food cooks quickly in a chiminea because there’s more concentrated heat than a standard barbeque will usually achieve. A good pair of heat resistant gloves and long tongs or a spatula will be necessary equipment. Avoid using a fork to turn or flip meats because the meats will lose liquid and dry out. Similarly, if you press down on meats they will also dry out from liquid loss. Grill baskets are good to use with foods that would fall through the grill or delicate foods such as vegetables, tofu, and fish. The grill should be nice and hot to sear food on contact, which improves flavour and helps to prevent food from sticking. Food needs sufficient space to not touch and to have airflow around the pieces to cook evenly. Different platters, cutting boards, and utensils should be used for raw and cooked meat. The last step is to invite over your best buds and get cooking! 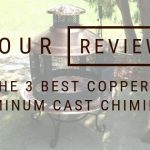 It’s easy to keep your guests involved and entertained while cooking with your chiminea since they’re perfectly suited to being part of your patio setup. 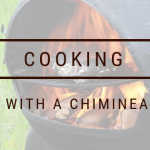 Keep in mind that a chiminea is smaller than a regular barbeque so when you want to cook with it, plan to entertain a smaller number of guests. Have a chill date night with someone special or a small intimate gathering of your closest friends. 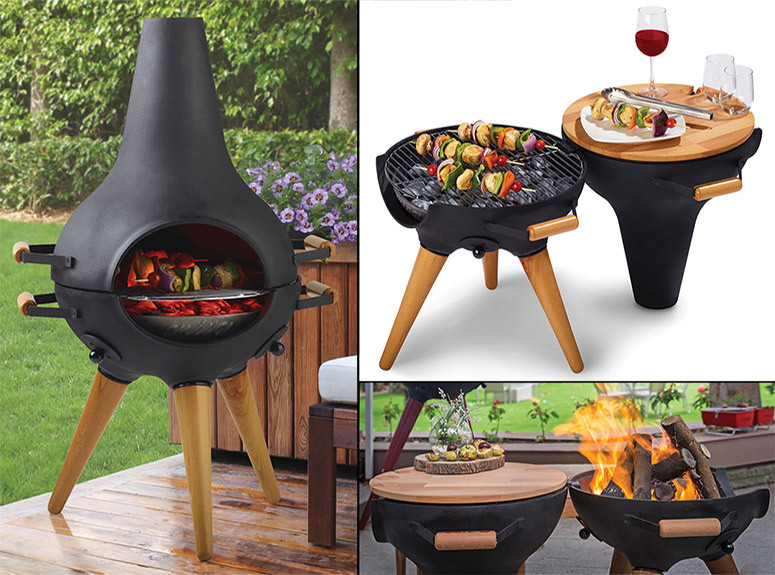 I love the chiminea with the wooden legs but can’t find where to buy one from. Do you sell them or have contact details for the people that make them.